If you’ve ever considered being a dog trainer, you’ve probably wondered what the average dog trainer salary is? If you do a search online you will get very different results, ranging from minimum wage to six-figure incomes. It is important to first realize what it means to be a dog trainer. When you think of this role, you might imagine working in the training department of a pet service business. The truth is, the skills you get as a trainer open many doors in the pet care industry. Many trainers are hired by rescue groups to evaluate dogs, or by dog hotels to manage the care of pets. The handling skills acquired by professional dog trainers are valuable in nearly any pet service. In addition, it is very easy to open your own pet training business. For some this can turn into great income opportunities, but for others, it can barely break even. Depending on a dog trainer’s level of skill, and determination, their incomes can greatly vary. Excluding your self-employed dog trainers, the average dog trainer salary in the United States is $35,541 according to an independent study by Payscale.com. This means that some dog trainers make less, but some can make more. On the low end, employed professional dog trainers might make $20,000, whereas, on the high end, they are making over $60,000. Many dog trainers are paid a base salary plus some sort of commission. These bonuses or commission can add up to $10,000 for the industry average. 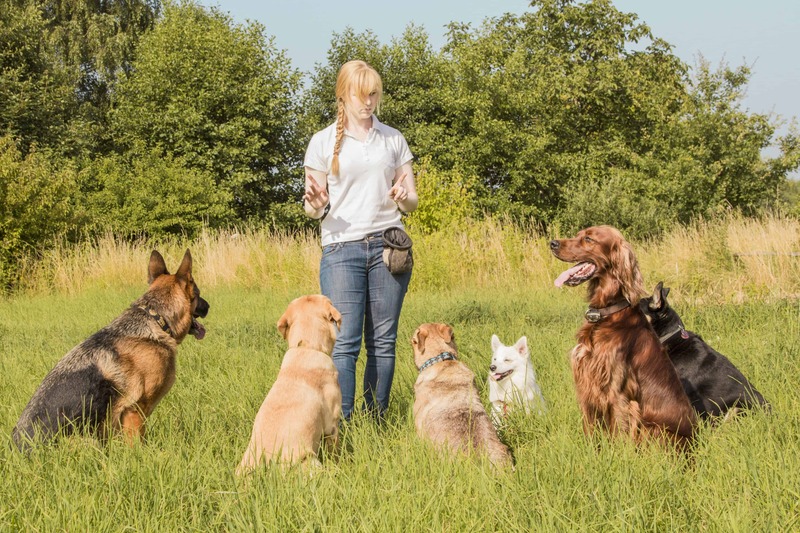 There are many different types of dog trainers. Some more specialized trainers have the potential to make more money, depending on the demand for their skills. Many dog trainers begin with basic obedience training. This can be done through drop-off programs, group classes, or in-home training. Some specialty training skills include service dog training, scent detection, competitive obedience, sport, hunting, and protection dog training. Some of these skills, such as competitive obedience and sport, are for fun but can greatly impact your resume and prove to clients that you are an expert. Skills such as service dog or therapy dog training are niche skills that people are willing to pay $10,000 - $20,000 for. There are much smaller markets for these types of trainers but the one's who choose to pursue it can make a very comfortable living. If you are excited about the average dog trainer salary and you are giving serious consideration to starting a new career, the best way to get started is by enrolling in a hands-on dog training school. If you attend The Academy of Pet Careers, we can teach you how to become a dog trainer in as little as 8 weeks. With courses in formal obedience, scent detection and service dog training, you will have limitless options upon graduation. Call us today at (636)489-5356 to book a school visit!